I always seem to have some kind of camera or recording device on my being when I go to an event. This goes way back into the 1980's when I snuck a primitive cassette recorder into a 1984 Rush gig at the Meadowlands NJ. It's not that I'm a bootlegger looking to make $ from the recordings. 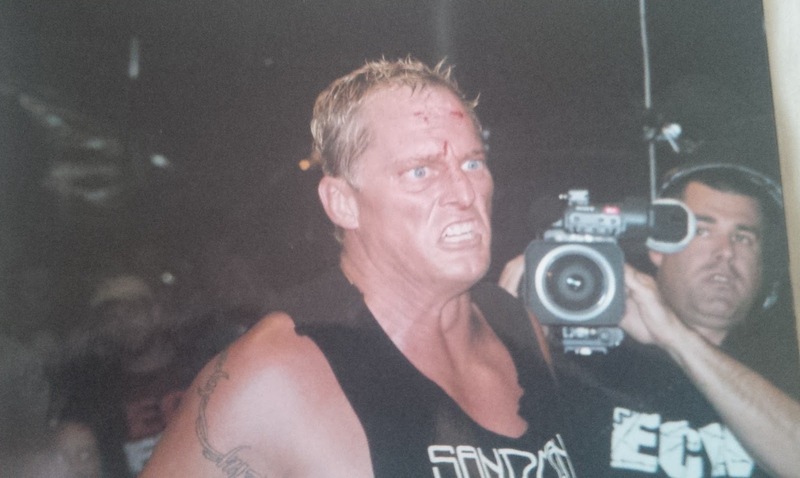 I've always enjoyed keeping a recorded souvenir (even if it's just one song) of a performance I've witnessed.Same goes for pro wrestling events. 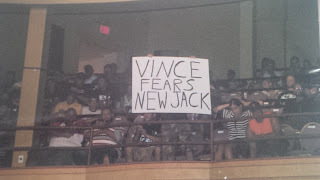 I always have an camera with me when I go to wrasslin' shows. 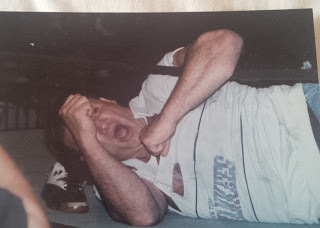 And now for everybody who comes to bumwinebob.com and clicks The Krude Experience,you will see an occasional photo layout (from the Krude archives) of a classic wrestling or rock event. 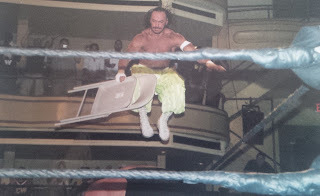 This week it's wrestling. August 1, 2006. 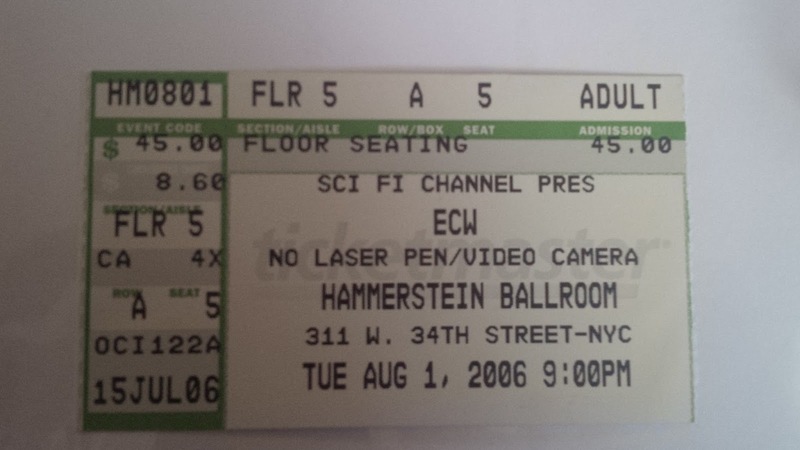 ECW/WWE show. Hammerstein Ballroom NYC. I received a Ticketmaster giftcard for my birthday and spent it on this show. 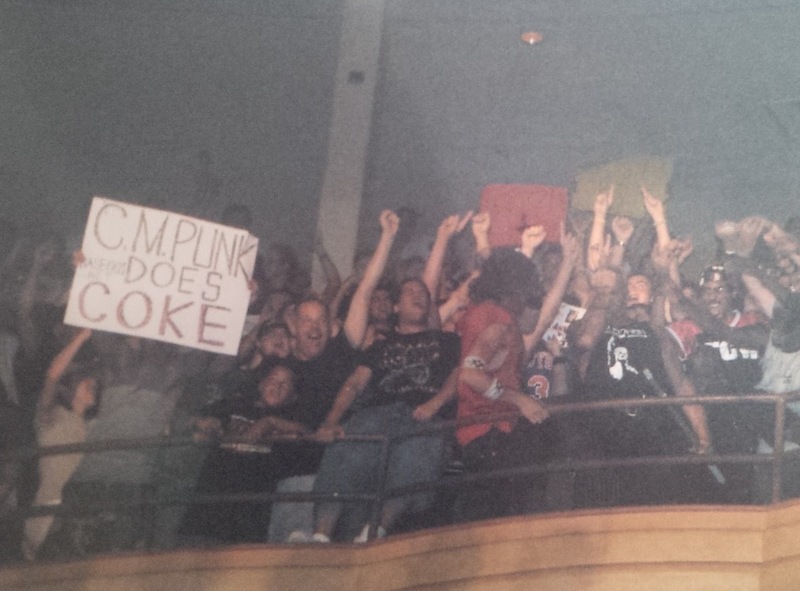 Show was noteworthy for being CM Punk's tv debut with WWE. He wrestled Justin Credible. Also,Kurt Angle was on his last legs with WWE at this point. Headline match was Big Show vs Batista. 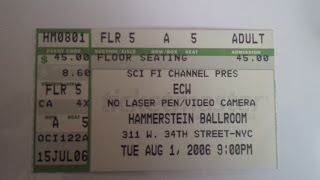 The ECW originals saved this show. 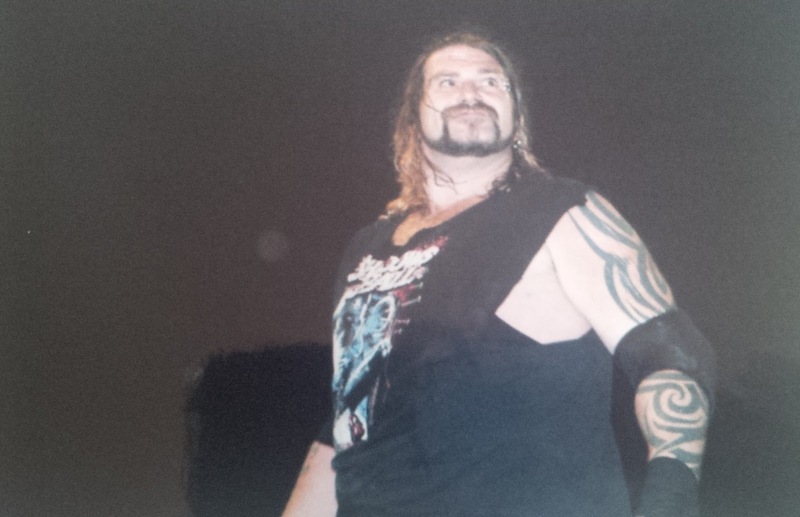 Balls Mahoney,Sandman,Tommy Dreamer,Sabu. 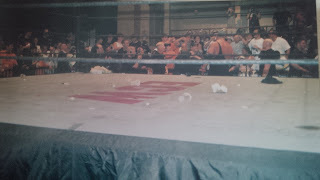 Crowd was tough. And rightfully so. 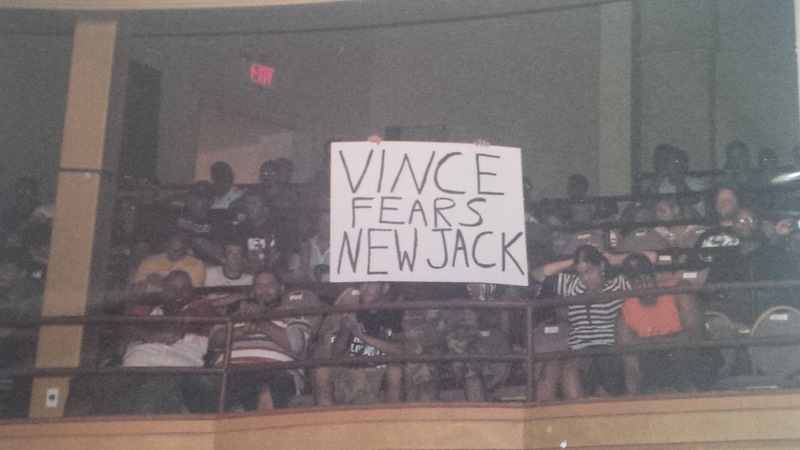 This was Vinny Mac shitting all over the ECW legacy.